James Cohan Gallery Shanghai is pleased to present Intermission, a three-week program of international films and videos from February 19 to March 9, 2011. Featuring both emerging and established artists, the films and videos will be shown daily as continuous, rotating screenings during gallery hours. The exhibition is grounded in ideas about music, performance, and the experience of cinema. American artist Lucas Ajemian, along with his brother Jason, a jazz musician and composer, assembled a ten-piece classical orchestra for their performance of the legendary rock song, “Into the Void” by the heavy metal band Black Sabbath. Untitled (From Beyond), 2006 is filmed inside a church in Chicago. 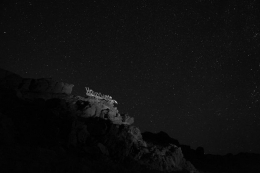 The performance is a musical experiment that references spirituality and the occult. Vocals are performed by Lucas Ajemian and Jason Ajemian conducts. 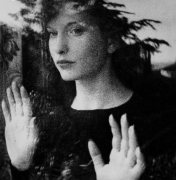 Maya Deren’s Meshes of the Afternoon (1943) is long considered a groundbreaking classic of experimental films. Symbolic and psychologically suggestive images—a flower, a falling key, an unlocked door, a telephone, a vast ocean view, and a mysterious death figure—appear throughout the film. In the spirit of surrealist films of the 1930s, Deren’s plot dwells into the subconscious experience of an individual. The films by Danish artist Jesper Just probe intimate relationships, sexuality, and can surprise viewers with unexpected twists on conventional notions of masculinity. A Vicious Undertow (2007) tells the story of a love-triangle between a middle-aged woman, a younger woman, and a man. Alex Prager’s film Despair (2010), along with her photographs, was recently exhibited at the Museum of Modern Art in New York. Prager’s work is informed by fashion photography, pulp fiction, and the melodramatic genre films of Hollywood. Despair, inspired by a 1948 film, The Red Shoes, is about a ballerina whose obsession with dance conflicts with her need for love, ultimately leading to her suicide. 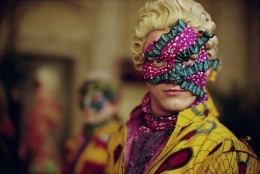 London-based Nigerian artist Yinka Shonibare’s Un Ballo in Maschera (A Masked Ball) was nominated for the Tate Britain Museum’s Turner Prize in 2004. Based on the classic Italian opera by Giuseppe Verdi, Shonibare’s Un Ballo in Maschera was a co-production by Swedish Television and the Moderna Museet in Stockholm. The film presents the assassination of King Gustav III of Sweden through the medium of dance and features thirty performers dressed in Shonibare’s colorful trademark batik costumes. Central to all of Shonibare’s work, which includes sculpture, painting, photography, and film-making, is the debate about social, cultural, and political issues that shape history and constructs identity. Challenging conventions of narrative, gender and identity, the desire for power—and the desire to destroy it—Shonibare conceived of the film as “a constant, dreamlike movement between reality and depiction of fantasy.” The exhibition also includes photographic works by Cheng Ran and Hiraki Sawa. 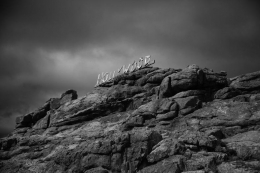 Already widely acclaimed for their video works, Cheng Ran will present two new photographs, Ghost of Tundra 1 and Ghost of Tundra 2 (2010) in which the iconic Hollywood billboard-landmark and its surrounding landscape is turned into a prehistoric monument. Hiraki Sawa’s, Going Places Sitting Down, a suite of five photographs (from Sawa’s 2004 three-channel video) calls to mind film stills where a child’s rocking horse inhabits the interior of an English house, becoming a visual lullaby and elegy to an imaginary world. For further information, please contact Leo Xu lxu@jamescohan.com or +86-21-54660825 x 602.